While the children were enjoying the beautiful weather outside and making up their own language, I decided to cook potatoes in the 14-quart GoWISE (you can read here how to cook potatoes in the electric pressure cooker) which we’ll enjoy with some butter and sour cream. 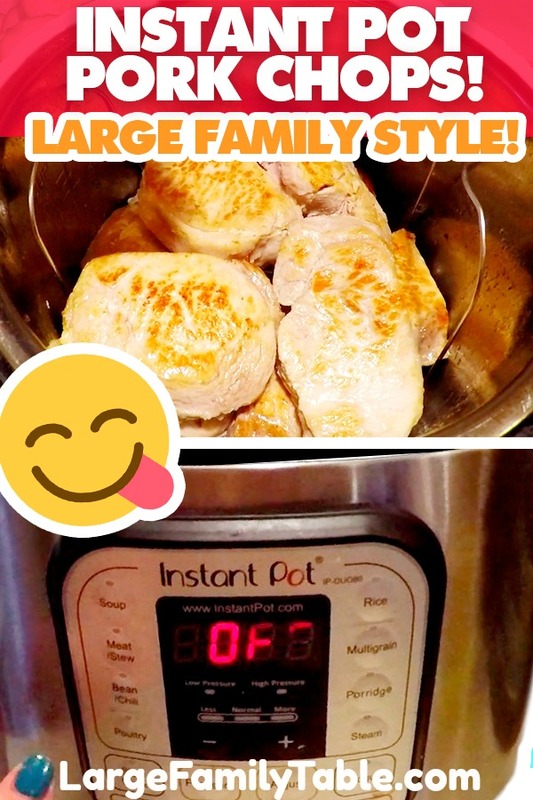 Then I added several pounds of boneless pork chops to my Instant Pot to make this a “large family Instant Pot” recipe. These electric pressure cookers make it possible for us to have a delicious large family dinner even when we are operating on less sleep than we’d like. 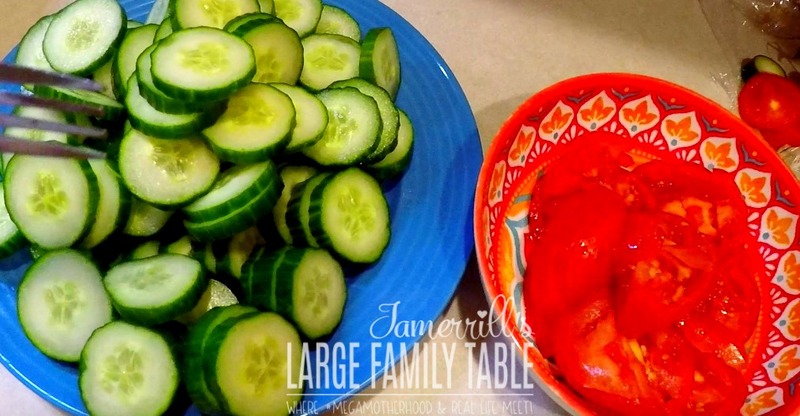 When tomatoes are in season, I love to slice a few along with some cucumbers for a super simple salad that we can just add to the side of our plates. Jadin, Amelia, and I love fresh, sliced tomatoes and they are only available fresh for such a short time that I try to take advantage of it and eat them every chance we get. The trick to these pork chops is searing them before setting the pressure cooker to finish the cooking process. You’ll find that it creates a yummy brown “crust” on them that makes them both yummy looking and super tasty. Heat 1 TBSP olive oil or oil of your choice in the Instant Pot. Sear pork chops in oil, 45 seconds per side, then remove to a plate. Place pork chops in cooker. Add soup mix, mushrooms, and spices. Set pressure cooker to Manual for 15 minutes. Check internal temperature of chops to be sure they are cooked through. 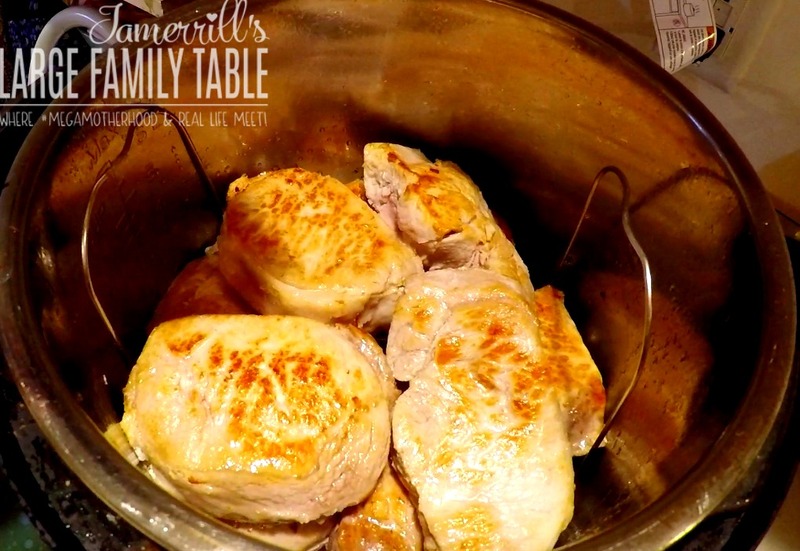 Click here to watch the full large family Instant Pot Pork Chops vlog on YouTube! 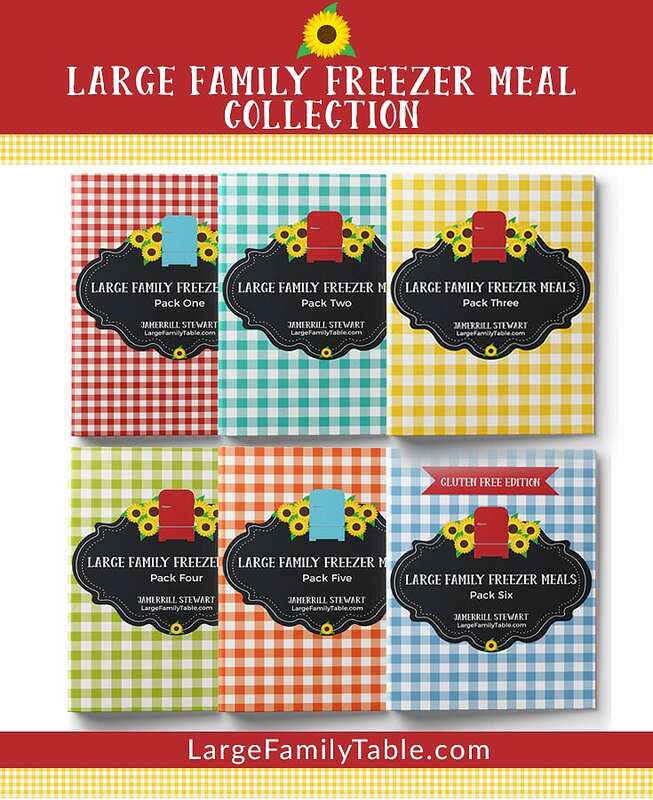 You might also be interested in Honey Garlic Chicken Instant Pot Recipe, or this Chicken Enchilada Freezer Meal Recipe!